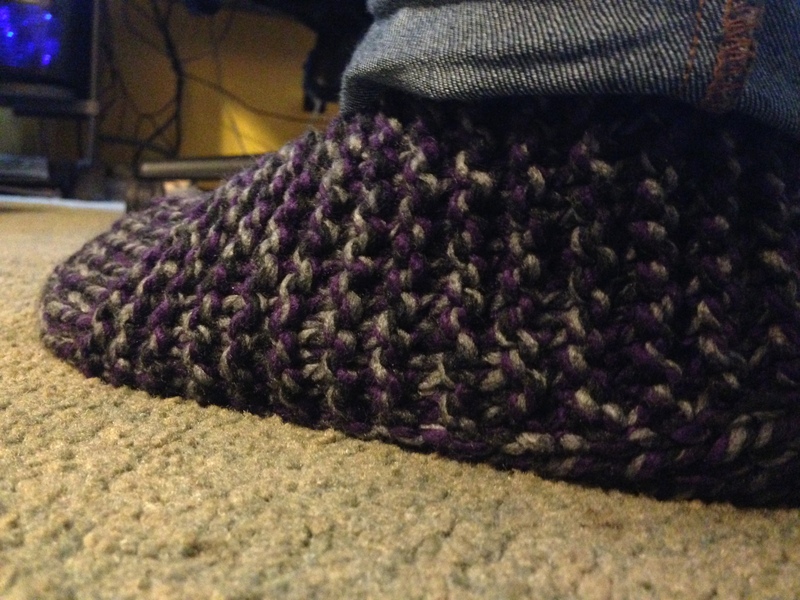 I made slippers because I thought that there would be a need for them. More comfort than just a sock and better than walking around the house in shoes all day. It took me some time to actually make a pair and I only did because my mom found a free pattern online. Well that pattern sort of worked but I made one that was much better for me. Leave a long tail and thread onto tapestry needle. Thread remaining sts onto needle and pull tight. Seam across the stockinette and the cast on side for the heel. You could even add a pompom if you like. I wear a size 9 and these fit me well but I think they would fit a size up or a size down. Do you have a pair of slippers that you love?